…praying at all times in the Spirit, with all prayer and supplication. To that end, keep alert with all perseverance, making supplication for all the saints, and also for me, that words may be given to me in opening my mouth boldly to proclaim the mystery of the gospel, for which I am an ambassador in chains, that I may declare it boldly, as I ought to speak. That’s a statement that is typically not true of me. Self-sufficiency, disappointment, insecurity— these are all emotions I feel regularly, but not fear... except that fear has been the predominant mood I’ve experienced these last three weeks living in Denver. Many of you have asked how we are adjusting to our new life in our new city and our answer has been “really, really naturally.” In many ways Denver is not a hard city to live in- it is absolutely gorgeous, the people are kind and really open to conversation (for the most part), the vibe & culture of this place is really laid back, and we have fantastic relational networks here already (part of our team who have already relocated, the Summit Church, other planters in our network, and even some old college friends who now live here). This fear isn’t stemming from “culture shock” or even trying to acclimate to a cross-country move. My fear is far more convicting than that. The pastors at The Summit Church are preaching through the book of Romans throughout 2018, and this past Sunday was the theme verse of the book- “For I am not ashamed of the gospel of Christ, for it is the power of God for salvation to everyone who believes…” As I came across this text last week I wept as the Spirit exposed the root of my fear— a subtle (but real) shame to be associated with the name of Jesus. I am fearful in every conversation with neighbors when the first question I am asked after they find out I just moved here is, “Oh, so, what brought you out here?” I should be the bold church planter and walk confidently and expectantly into this gospel opportunity as I let them know God called us here to plant churches to help people like them know, enjoy, and follow Jesus. Instead, I’d rather punt the fact that I'm a pastor down the field for a later conversation. Some of this may be coming out of a healthy, loving concern to help remove some big stumbling blocks to getting to know Jesus caused by the negative stereo-types (many of which are true) of what urban Denverites feel and assume toward Christians in general and churches in particular. But it also reveals my disbelief in the goodness and power of God in the gospel- that the gospel doesn't just have power, but that it literally IS power to save. I know, I'm a hot mess. This inward struggle has taken me off guard, but God has been so faithful to show Himself in the middle of it. In some weird way, I’m becoming thankful for the fear (but deeply repentant of the sin it causes). I’m really not even asking God to take it away right now, but instead to teach me what it means to move forward in spite of it. I’m learning to be grateful for things that expose my weaknesses and inabilities because those pry my grip off the illusions of control & self-sufficiency and become a call of invitation to fall into the arms of a loving, strong Father. My heart grows courage as he pours his love over me no matter how dark my heart can get. In fact, He maybe gets more glory as He fills up the caverns of my weakness with His strength. His grace really is greater than our sin. but being dependent on Jesus is what Christianity is. As you pray for us, please pray that we would continue to live, not for the approval of others, but for the pleasure of God. Pray there would be no fear or shame as we see the surpassing weight and beauty of this good news! Pray we would gladly endure reproach and if need be, suffering, for the name of Jesus. Pray we would love our neighbors well be humbly and boldly talking about the good news about Jesus. Pray the Spirit would go before us, preparing the soil of hearts of the people of Denver to be able to see Jesus is better. Pray for wisdom and favor as we seek to embody the values of the kingdom of God as we live life on display serving our neighborhoods. Pray our joy in Jesus would spill over into the joy of real people in Denver. I’m thankful for the Church. We don’t want to move across the country again any time soon, but God was so kind through the entire process! It was bittersweet to say goodbye & be sent out by our friends at Sojourn Community Church. We are so thankful for what God did in us during our time with them and we’re thankful for their partnership in the coming days! We spent a week back in East Tennessee spending time with family and friends before we made the thousand mile trek to the Rockies. We cannot put into words how much we feel loved by our faith family and sending Church at Tri-Cities. We have been loved on, prayed for, and just covered in generosity by our brothers and sisters there. Some of our best friends, Wes & Jennifer Tucker, even made the 2 day drive with me. It worked out that Pastor Gene and his wife, Gayle, were in the city the same weekend we arrived, and they cared for us by taking our entire team out to lunch. Their help was so crucial, but I can’t put into words how much just having them with me for my first weekend in the city meant. They (and many others) have loved us in ways we didn’t even know how to ask for or knew we needed. Churches really do plant churches and I am so glad we’re not alone in this. Tri-Cities has modeled what it means to be a sending church and I pray The Oaks can care for those we send out the way they have cared for us. I’m thankful for kingdom partnerships. As most of you know, we are planting with The Send Network. This entire process has been such a gift for Cayla and me. I am serving through 2018 as a Church Planting Apprentice. One of the generous ways NAMB is blessing us is they are allowing us to live in one of the homes they own in the city for an insanely discounted monthly lease. 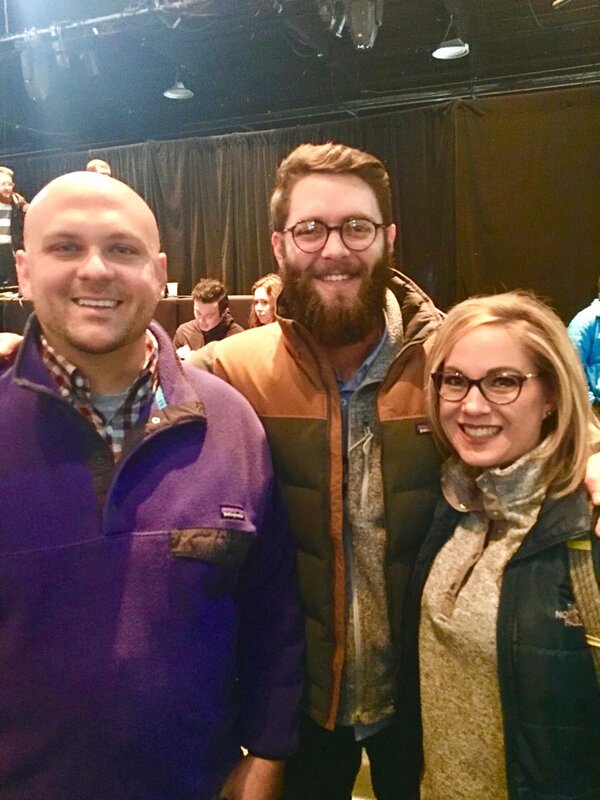 As part of the apprenticeship I am working part-time on staff with The Summit Church (summitdenver.org) as a Church Planting Resident. It has been so refreshing to work closely, serve, and learn from these like-minded brothers and sisters to learn what faithful gospel-shaped mission looks like in Denver. We’ve been met with such hospitality and care from other fellow planters all across the city. And just this week I’ve been part of two fantastic equipping and networking events for pastors. I’ve been blown away by the collaboration and lack of competition of churches in urban Denver! It makes me so hopeful of what God will continue to do through the larger Church displaying the unity of the Body of Christ! We have 3 families who are now with us in Denver already (with a few more joining us over the summer). It was a bit surreal to have everyone in our home for the first time last weekend. Our faith is strengthened as we keep hearing the stories of how God has called each of them to Denver to be members of The Oaks. I’m eager to see the story He is writing with our lives together. There’s a lot going on in all of our lives as we get settled in, learn our city, work jobs, and do all the logistics of finding our new rhythms. Pray our team would carve out intentional space to be with God, our joy would be full, and we would live everyday life with a posture of intimacy and awareness of God's presence. Pray we would not reach the city of Denver and lose our souls or neglect the joy and flourishing of our own families. Our team is just now getting to know one another. All of us have been called from different contexts, so a top priority together is just to build a depth of relationships with each another. Pray we would not try to manufacture this, but instead live out of our identity as the family of God united around our position in Jesus. Pray for unity and a devotion to lean into “the one anothers” that God has called us to. Pray for wisdom and clarity around each person’s unique gifts and personalities they bring and how they fit into the mission & vision of The Oaks. We are in an unique season. 2018 is a gift for the pressure to be removed to have to “build something.” The tension comes in that we're all having to “unlearn” what it means to be faithful right now. We all come from established churches (thanks be to God for established churches), but the reality is the “baby-stage” of our church planting journey means that a lot of the roles and practices we're all used to when we think of being the church just isn’t formed yet. Pray we would learn from the Word what it means to truly live as a community shaped by the gospel and sent on mission, even before a lot of the "structures" are ever in place. Pray we would rest well and enjoy this season of extended opportunity to listen and learn without many other demands. Pray for wisdom as we do begin to have conversations and build systems and structures of what it means to be The Oaks Church. Throughout this year our team will be gathering in our home each Thursday night to pray, immerse ourselves in the Scriptures, and talk vision! Pray this time will be fruitful and rich! We are currently doing a study on how we grow to be like Jesus by faith in Jesus. Pray we would learn to know the gospel, love the gospel, and seek to apply the gospel to our own hearts and speak it to one another as we make disciples! 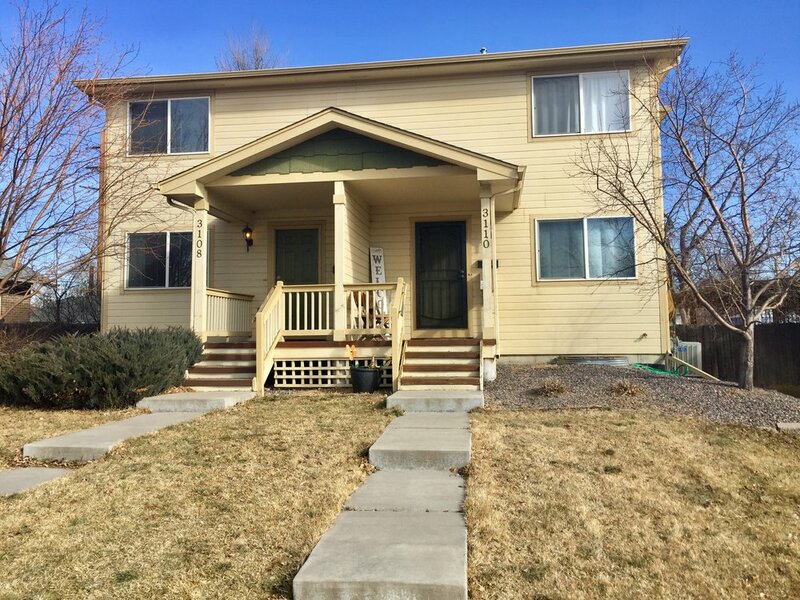 Our entire team lives within 10 minutes of our house in South Denver, but our current neighborhood isn’t where we will be long-term. Our goal is to prayerfully explore a diversity of neighborhoods throughout urban Denver before we officially identify the spot where we will plant our lives over the long haul. Our goal we are praying and working toward is to have clarity in 90 days of which neighborhoods God is calling us to plant The Oaks. Will you pray for this massive decision? In the meantime, pray we will love our current neighbors well. Pray for time mangagement and sacrifice for all of us to be hospitable and to spend intentional time in our target areas learning and asking good questions! Pray for me as I seek to spend time intentionally with people far from God. My personal goal is to have conversations with 100 people in the next 100 days. thank you for locking arms with us, staying informed, and lifting us up in prayer! We love you! If you would like to invest in The Oaks by partnering financially you may set up monthly gifts or give a one-time gift! We can't do this without the generosity of God's people!